Hear For You is led by a board of experienced directors, who all share a common vision for the future. Together, we combine our skills to ensure our deaf staff and volunteers have all the support they need, from strong business practices to high quality controls. Since most of us are deaf or hard of hearing, we also have a genuine connection to the cause we’re working towards. Before joining Hear For You as a non-executive Director in September 2014, Kim led a long and successful career as a leader, marketer, and management consultant. Over the years, she has worked for a long list of high-profile companies, including Colonial First State Global Asset Management, Colonial First State Property (subsidiaries of Commonwealth Bank) and Lend Lease. With a focus on governance frameworks, risk assessment, regulatory requirements, complex problem solving and boardroom insight, Kim brings a host of knowledge to her role as Director. As well as her strategic skills, Kim is a big picture thinker who understands how to embed a shared vision, build a successful brand and work with a diverse range of stakeholders. As well as being a Director on the Hear For You board, Kim is also a Member and Graduate of the Australian Institute of Company Directors (GAICD), and a member of Women On Boards. Diagnosed as profoundly deaf at 8 months of age, Olivia Andersen (nee Gemmell) underwent speech therapy in her early years, before achieving academic and sporting success at Loreto Kirribilli – surprising doctors who said she’d never be able to speak or go to a mainstream school. 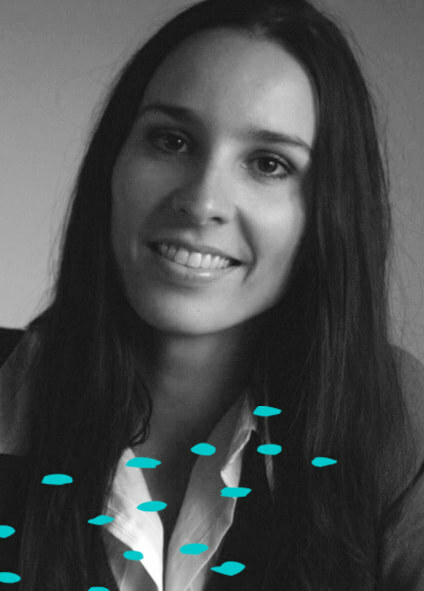 After graduating from the University of NSW with a BA in Design and working for Marie Claire magazine, Olivia spent time working in London and travelling the globe, before returning to study Business at RMIT University in Melbourne. As a recipient of the Churchill Fellowship award, Olivia then had the opportunity to spend six weeks overseas attending and researching established mentoring organisations in the USA, United Kingdom and Scandinavia. Here she gained valuable insight into overseas mentoring and leadership programs for deaf and hard of hearing adolescents – and came back inspired to start Hear For You. Since then, Olivia has won many awards for her work, including the 2010 National AAMI / NEIS Small Business Award, 2013 National Disability Award for Community and Personal Development and the 2017 Peter Howson Medal. Olivia is currently on the Editorial Advisory Board for Hearing HQ Magazine, providing guidance and expertise on a voluntary basis. Having worked as Hear For You’s Managing Director from 2007-2013, she remains involved as a Director – and of course, an integral part of the Hear For You family. After completing an honours degree in history at Sydney University, Stephen entered the world of politics – becoming an Adviser to NSW Opposition Leader Nick Greiner in 1986. From there, he went on to work on the personal staff of the Hon. Nick Greiner, Premier and Treasurer of NSW, then became Chief of Staff to the Hon. Jim Longley M.P. 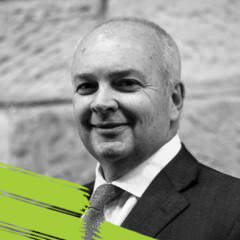 In 1995, Stephen shifted his focus to the private sector, where he worked as a government relations adviser – and in 2007, he established his own advisory firm, Richardson Coutts Government Relations. Now, in addition to his consultancy work, Stephen serves on the Hear For You board, providing valuable perspective of the relationships between public and private sectors. 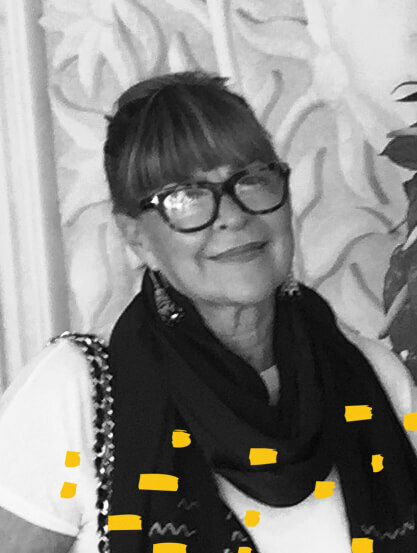 Stephanie is a successful director and business woman with a career spanning more than 25 years, having served as director of Black Vanity (Aust) Pty Ltd, SM Beauty Products Pty Ltd, and Chairperson of Conexu Foundation. 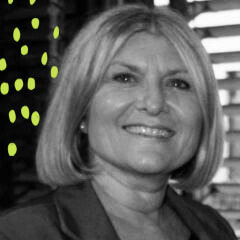 Currently the Chairperson of the Australian Communications Exchange Ltd, Stephanie brings a wealth of experience and business acumen to the Hear For You board. Not only does Stephanie have valuable knowledge in the context of business, she also has personal experience to share as someone living with hearing loss. As well as serving on our board, Stephanie is also a Deaf Australia member, and is the Sydney representative for Women with Disabilities Australia. 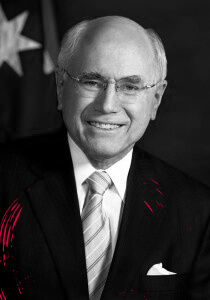 John Howard, Australia’s 25th Prime Minister, was first aware of his significant hearing loss during a routine health inspection at Earlwood Primary School when he was aged nine – a condition that would become worse throughout his adolescence.